Home > Beauty, Wellness and Sports > Sports > New Balance: Enjoy Additional 20% OFF Storewide In Stores! 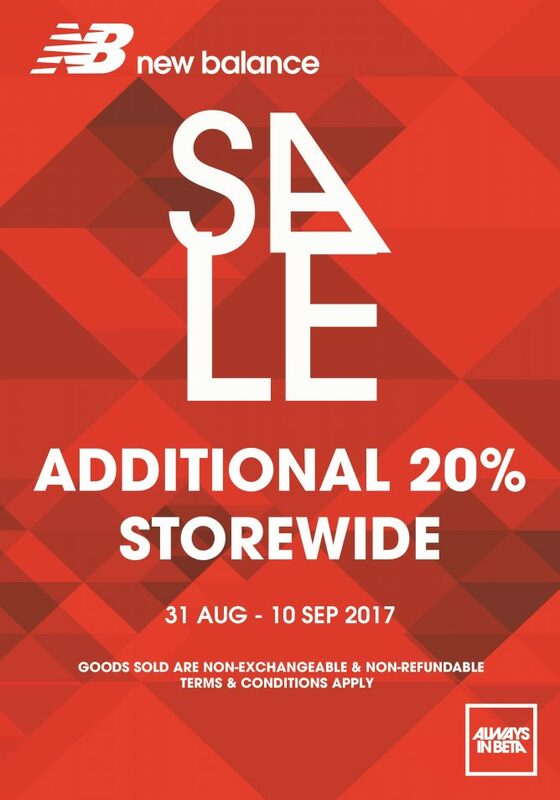 31 Aug - 10 Sep 2017 New Balance: Enjoy Additional 20% OFF Storewide In Stores! Shop your favourite New Balance collection on sale and upgrade your style! 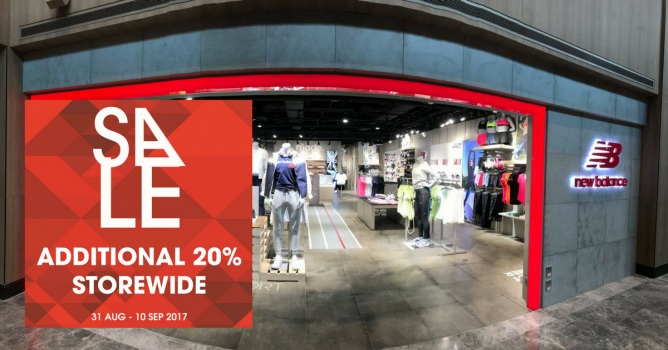 Enjoy additional 20% off storewide from 31 August to 10 September 2017 at all New Balance Experience stores! Don’t miss out on the exclusive sale! Goods sold are non-exchangeable & non-refundable. Previous: [[email protected]] Celebrate this Mid-Autumn Festival with the Autumn Indulgence Mooncake Collection from Ya Kun! Next: [Great World City] September Specials at Great World City!